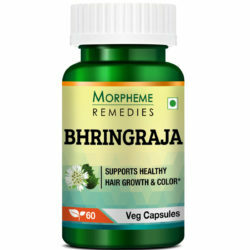 Morpheme Remedies Pure Bhringraj Oil is an authentic product which has several benefits for hair. 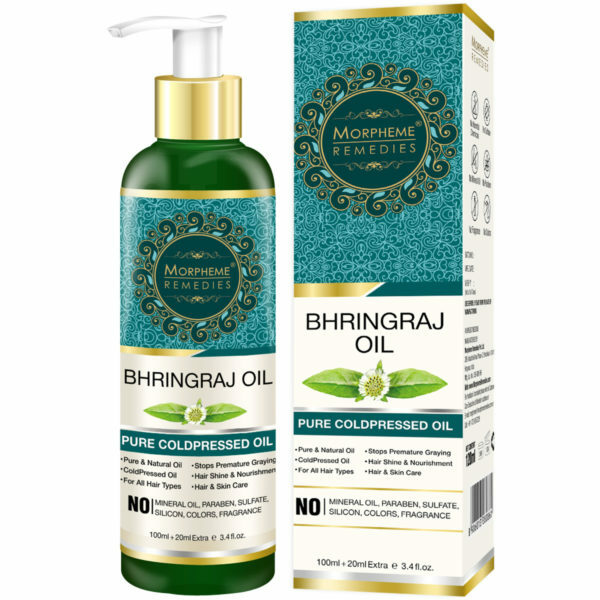 This Morpheme Remedies Pure Bhringraj Oil is derived with a cold pressed technique in which the nutritional constituents of the oil remains intact. Including pure Bringraj oil in hair care regime is said to be beneficial for premature graying, hair fall and dandruff. One of the best features of this product is that it has no harmful chemical additives. In Ayurveda, Bhringraj is considered a valuable herb for keeping several hair problems at bay. The phytoconstituents of Bhringraj are considered to promote healthy hair growth. It has no harmful chemical additives and artificial fragrance. 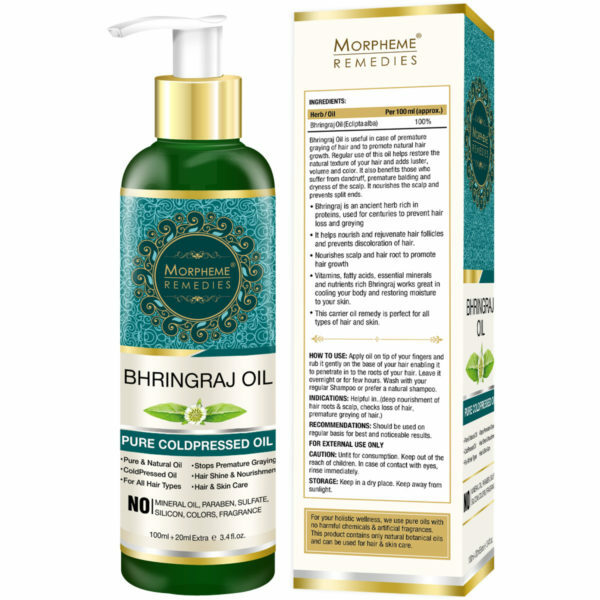 Morpheme Remedies Pure Bhringraj oil is a high-quality product. 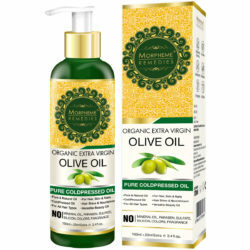 This oil is obtained using the cold pressed technique. Cold pressed milling technique is considered one of the best techniques for extracting oil since the nutritional losses are said to be minimal in this case. Bhringraj is a highly appreciated herb in Ayurveda. One of the major reasons behind the popularity of Bhringraj is its effectiveness in promoting hair growth. Bhringraj improves the growth of new hair by stimulating the follicles. Use of pure Bhringraj oil may promote the growth of new hair on the scalp by stimulating the hair follicles. 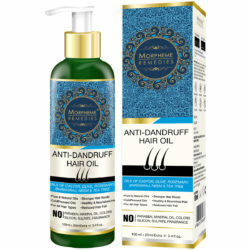 You may give this product a try if looking for a solution for hair growth. Our hair needs proper nourishment for being in a healthy state. Bhringraj has several nutrients that can provide better nourishment to hair. Our hair may become weak due to the use of chemical-based products and poor lifestyle. Massage with Bhringraj oil may prove good for maintaining good health of hair. 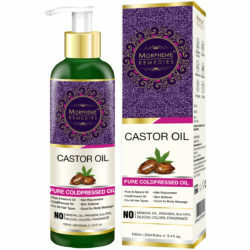 It provides deep nourishment by penetrating into the scalp. Strong hair roots make the base of healthy looking hair. Massaging scalp with high-quality oil is helpful to make hair roots stronger. It improves blood circulation towards the hair follicles and the nutrients of the oil can be better absorbed by the follicles. Strengthened roots would help in controlling hair loss. Traditionally, Bhringraj is used to control hair fall. The scientific evidences are not available in enough quantity to support the use of Bhringraj to control hair fall. Hair may fall out due to improper nourishment. Bhringraj oil provides nourishment to the hair, which can help in reducing early hair fall. 1. For which hair type is this oil suitable? This is suitable for all hair types. 2. How many times in a week can I apply this oil? You can apply this oil twice or thrice a week. 3. How long can I apply this oil? There is no certain limit of time up to which you can use this oil. It depends on your preference. 4. Can I use Bhringraj oil if I have no such hair problems? Of course, you can use it. It is a general purpose product that can be used in normal hair conditions. 5. Does it help in relieving itch without having dandruff? Yes, this oil is helpful in relieving the itch. 6. 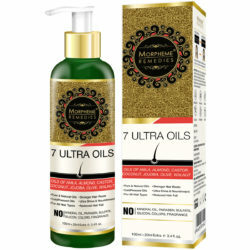 Can I use my daily shampoo or use a specific one for washing my hair coated with this oil? You can use any shampoo of your choice for your hair. There is no need to use special shampoo for this purpose. 7. Is it necessary to heat the oil before application? It is not always necessary to heat the oil. You may skip heating. 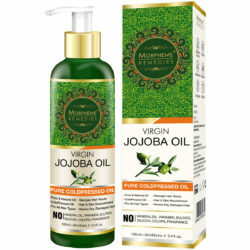 This is an excellent oil for hair growth. I am using this and in a short time noticing less hair fall. This is high quality pure Bhringraj oil. 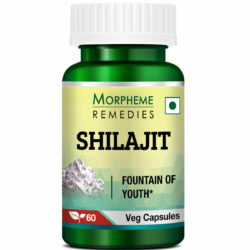 It is helping in arresting hair loss. My hair color has improved after applying it. This is very good hair oil. It helped stimulate hair growth and arrested hair loss. Bhringraj oil is known for its positive effect on hair health. This quality of this oil is very good. It is helping in reducing hair fall. Bhringraj hair oil is known to promote hair growth. This is top grade Bringraj oil. I’ve started using it. This bhringraj oil is of good quality. It started showing result after using it for a week. It helped decrease excessive hair fall. I’m using Bhringraj oil for 3 weeks. Hair fall has lessened. Seems to be good quality oil. Using this Bhringraj oil for 2 weeks. It is helping in retaining the natural texture and color of my hair. Hair fall is less. This oil helped arrest hair loss. A wonderful oil for nourishing the scalp and stimulating hair growth. This is top grade bhringraj oil. Bhringraj oil helped strengthen my hair. It reduced hair breakage and hair fall and restored normal hair color. 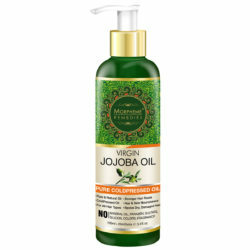 Bringraja oil is well known for promoting hair growth. I am using this oil as it is the best quality bhringraj oil. It is working wonders for me. This bhringraj oil helped improve hair growth. My hair has become darker and smoother. Bhringraj oil helped arrest excessive hair loss. It is great for nourishing the scalp and promoting hair growth. I’m using Bhringraj oil for a month. It helped reduce hair fall. This is top grade oil. Great quality oil. It helped arrest excess hair fall. My hair now looks healthier and slowly becoming thicker. Using it for over 6 weeks. 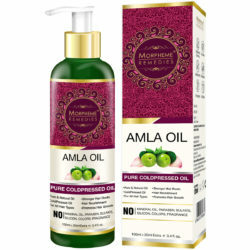 This oil has given me relief from excess hair fall. It assists hair growth. Will continue using this. Best quality bhringraj oil. It helped arrest hair loss. Hair looks darker and is slowly becoming thicker. Will continue using it. Using this Bhringraj oil for over 2 months. It’s helping in new hair growth. Hair is lengthening at a faster pace and slowly becoming thicker. For the last few months I was experiencing excessive hair fall. After I started using this Bhringraj oil I’m noticing less hair fall. Hair looks healthier. This Bhringraj oil is excellent. In a short time it started showing result. It is good for hair growth. Bhringraj hair oil has so many benefits and this particular oil is of the best quality. It is good for my hair. Helped in reducing hair loss and promoting hair growth. To reduce excessive hair loss I started using this Bhringraj oil. Within a few weeks I started noticing result. After using it for 2 months, my hair is growing back. This oil helps in hair growth. I am using this for about 3 months and impressed with the result. Bought this last month and there hasn’t been a day when I didn’t use it. It smells natural without any additive to cover the real smell. It helped arrest hair loss and my hair is regaining its health. Will continue using it. I am using Bhringraj oil for a month. It is an excellent product. It helped stop excess hair fall. Hair looks darker and smooth. 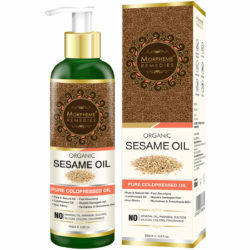 This is a wonderful oil for hair health. Additive free, natural product. Helping in hair re-growth. To arrest hair thinning I started using Bhringraj oil. I started noticing result within a week. 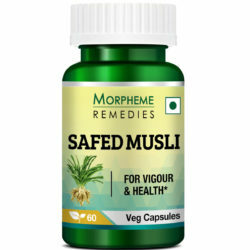 It helped reduce excess hair loss. My hair is slowly growing back. 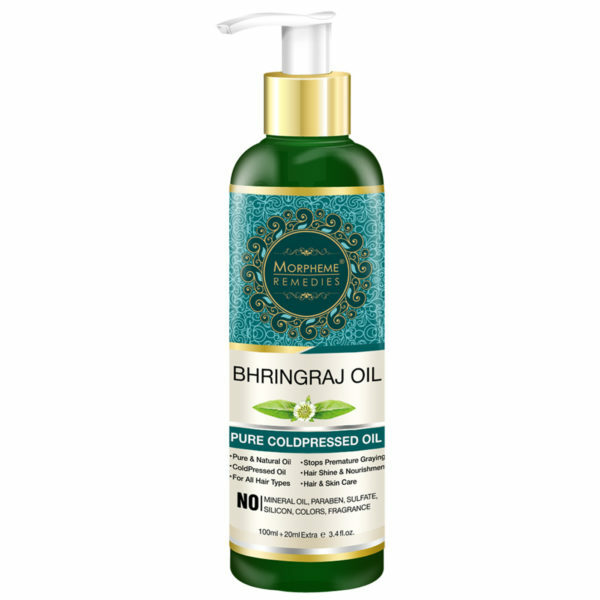 Pure bhringraj oil is supplying nourishment to my hair. It helped stop excessive hair fall and is promoting hair growth. Wonderful oil for hair growth. 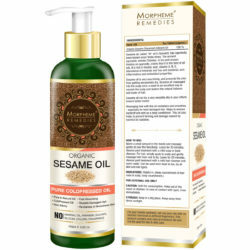 I’ve benefited a lot by using this oil. It is promoting hair re-growth. Bhringaraj oil is promoting hair growth. Hair looks dark and smooth. Bhringraj oil is considered an excellent remedy for hair loss. I am using this for a month. It is a wonderful product. 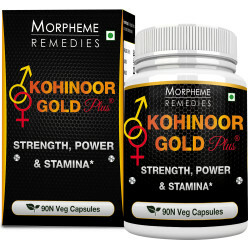 It provides relief from excessive hair fall. This is a very good quality Bhringraj oil. I’m using this for a month. It is helping in thickening my hair. I found Bhringraj oil effective for hair growth. Using this oil for a few months. My hair is now thicker, smoother and darker. Bhringraj oil is great for hair growth. After using it for a few weeks, it helped reduce excessive hair loss. My hair is now strong and healthy. This is natural bhringraj oil, free from additives. Helped stop excessive hair loss. Noticing new hair growth. I am using this Bhringraj oil for over a month. It an effective product for promoting hair growth. An excellent natural product for reducing excess hair fall. Bhringraj oil is excellent for hair growth. This particular Bhringraj oil is of very good quality. It helped stop excess hair fall. Bhringraj oil is known to stimulate hair growth. This particular oil works quite well. I’m noticing result after using it for a couple of weeks. Bhrigaraj oil helped stop excess hair fall. After using it daily for over a month I’m noticing new hair growth. Excellent herbal oil for hair growth. The effectiveness of Bhringraj oil in stimulating hair growth is well-known. It is the quality of the oil that determines how well it will work. 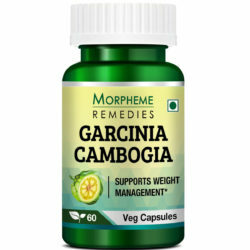 This Morpheme Remedies Bhringraj oil is of the finest quality. I’m using it for over 2 months and the result is amazing! I began using this oil after suffering from excessive hair fall for a few months. Bhringraj oil has helped in reducing hair fall. Noticing hair re-growth. Heat the oil. Avoid overheating as it may lead to loss of essential nutrients from the oil. Apply the oil to the hair roots using fingertips or an applicator. Give a gentle massage in a circular motion using your fingertips. Leave the oil in your hair overnight. Leaving oil overnight will provide your hair deep conditioning. Wash your hair with a mild shampoo in the morning.